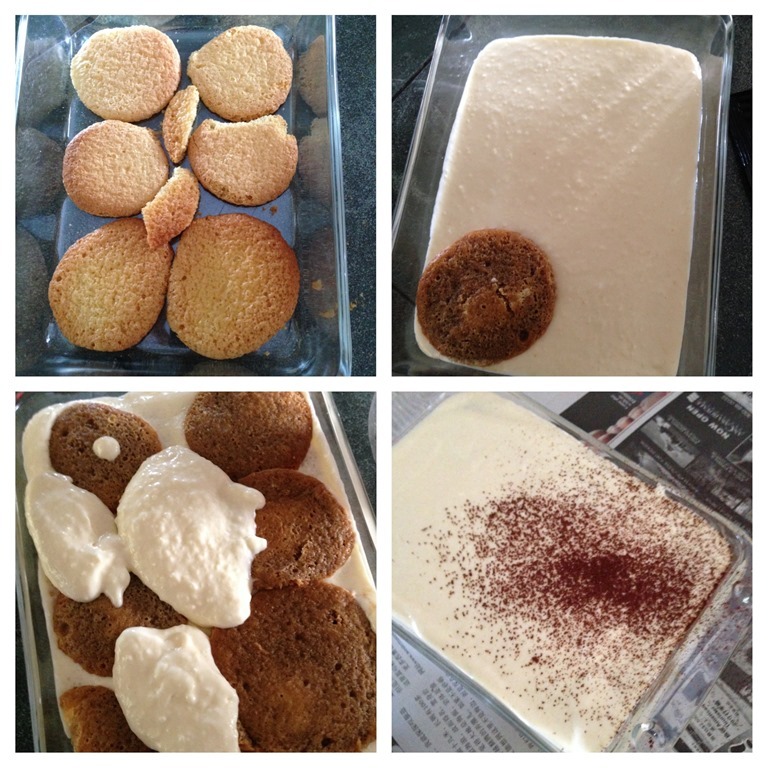 Authentic tiramisu will require mascarpone cheese, coffee, uncooked eggs, Khalua (or other coffee liquor), castor sugar and sponge fingers. 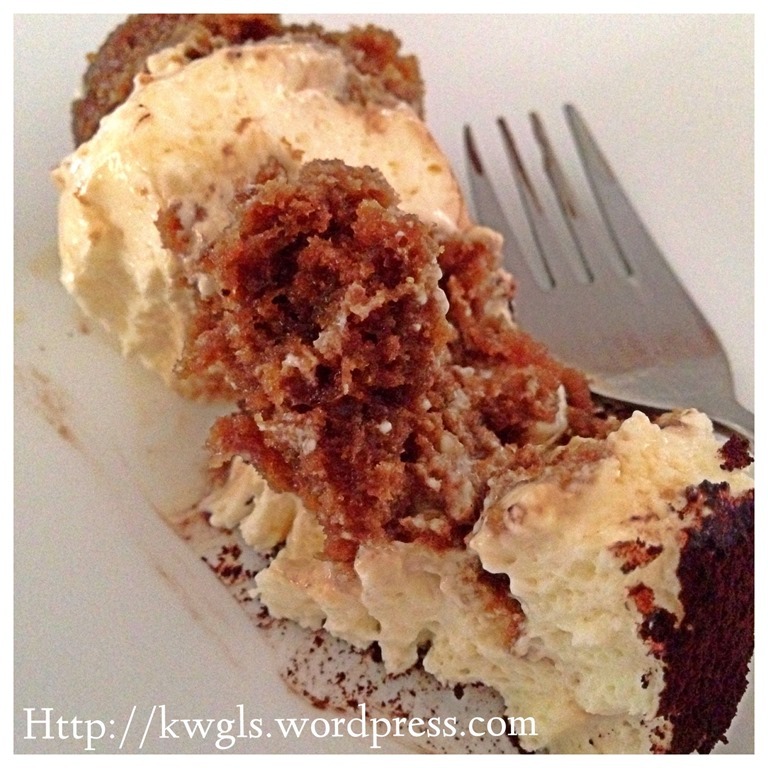 This Tiramisu uses no eggs, but coffee, Tia Maria, normal sponge cakes, condense milks and normal cream cheese. 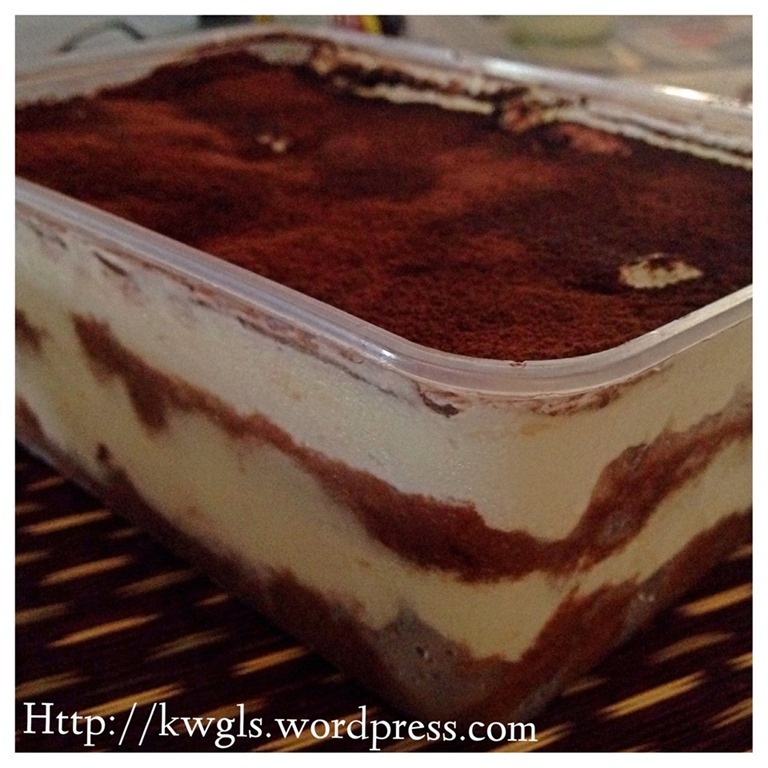 Hence, it is just like a poor man’s version of tiramisu because all the ingredients are cheaper. Most bakers will know that mascarpone cheese is a light and creamy cheese with a higher fat content originated from Italy. 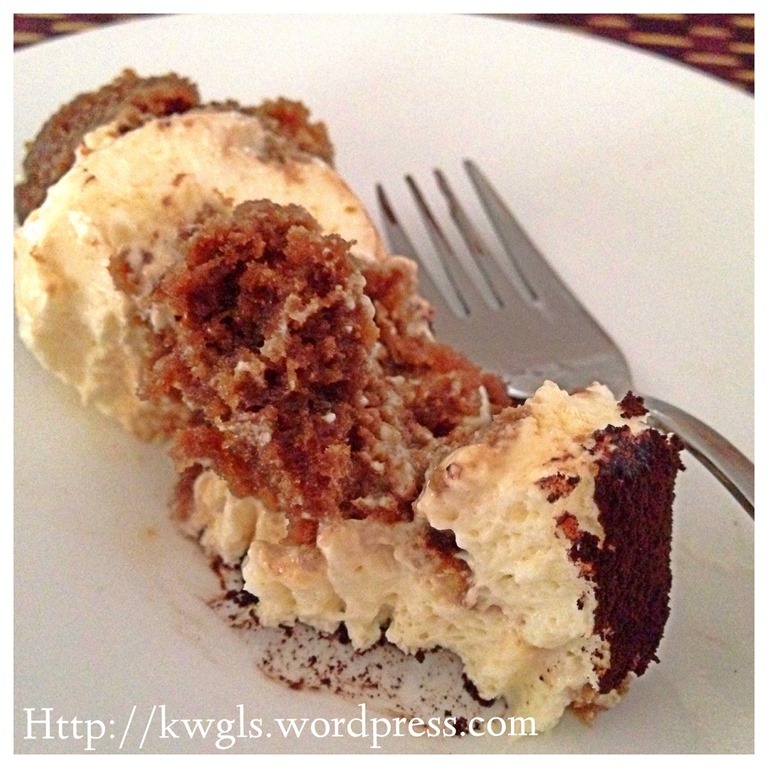 It is one of the essential ingredients in classic Italian dessert, tiramisu. It has a fat content ranging from 60% to 75% whereas normal cream cheese only have fat content of about 40% to 60%. In Singapore, a 250 gram tube of mascarpone cheese will cost about SGD 9 (SGD36 for 2 kgs) where as a 2 kgs of cream cheese will cost only about SGD18. Almost half of the price of mascarpone cheese. Besides price, it is not commonly available in developing countries like Malaysia and Indonesia. Even if there is, you will get it by paying a high price premium in top notch supermarkets. Sponge fingers are sold in supermarkets in Singapore but not that cheap either. 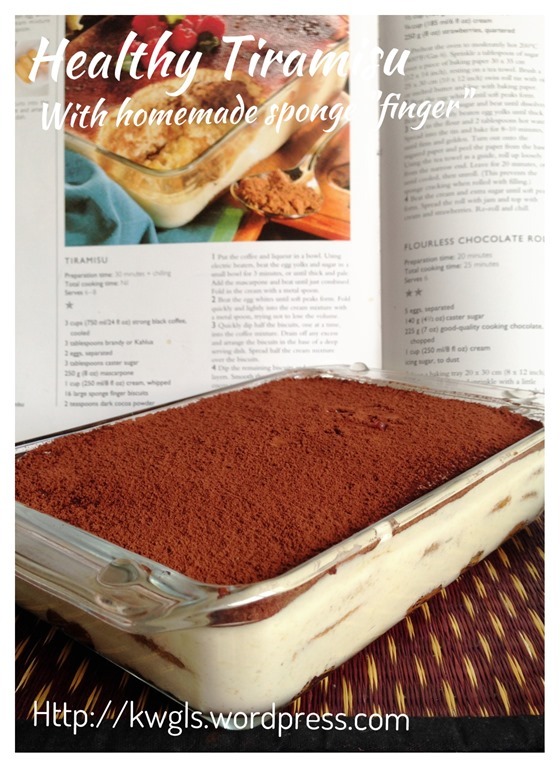 A pack of 12 sponge fingers can cost SGD 3-4 and making a medium size tiramisu may require up to 2 packages of sponge fingers. 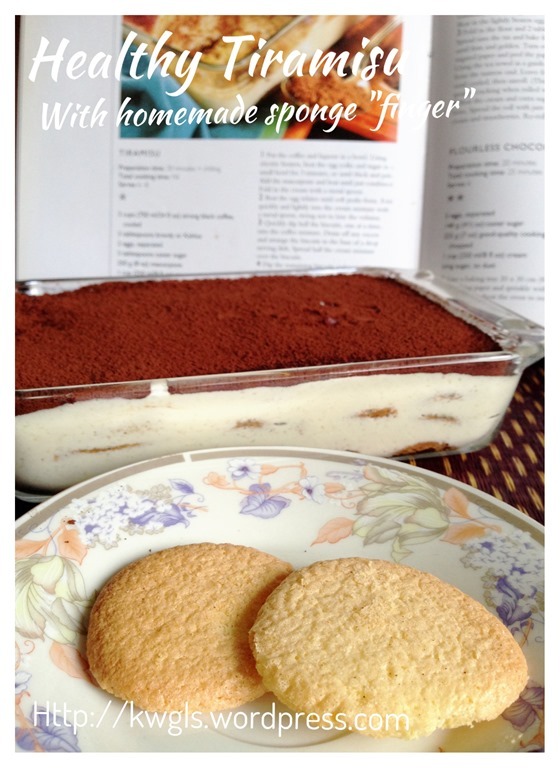 Of course the use of sponge fingers in authentic tiramisu have its values. It is light and can absorb lots of liquored flavoured coffee. 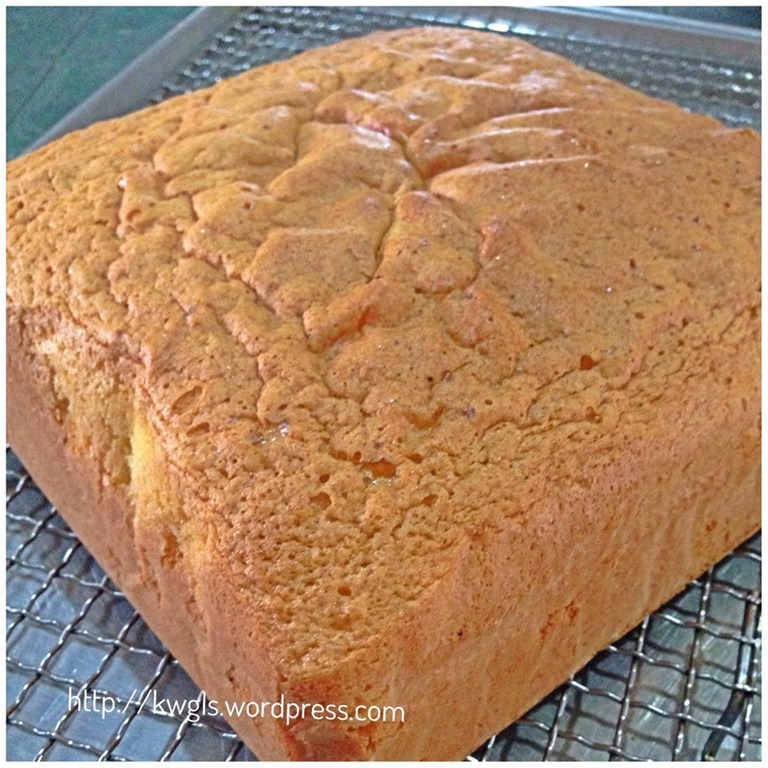 Sponge cake is an easy cake to make at home, utilizing only eggs, sugar and flour. If one prefer not to be bake, the supermarkets in Singapore sell an 8” diameter sponge cake for only SGD 3 or at times slightly above SGD2. In developing countries, to get and to bake sponge cake is definitely easy, but if imported sponge fingers are used, they may have to buy at a speciality supermarkets. Uncooked eggs is not something in my cooking or baking agenda because of my two kids. I am wary of the semolina virus and food poisoning. Don’t get me wrong, the semolina virus (or salmonella virus) is nothing to do with semolina flour used in making of sugee cake and nan khatai Indian short bread cookies, it is a type of virus present in uncooked eggs (particularly egg yolks) that can cause stomach upset and landed you to the hospital! 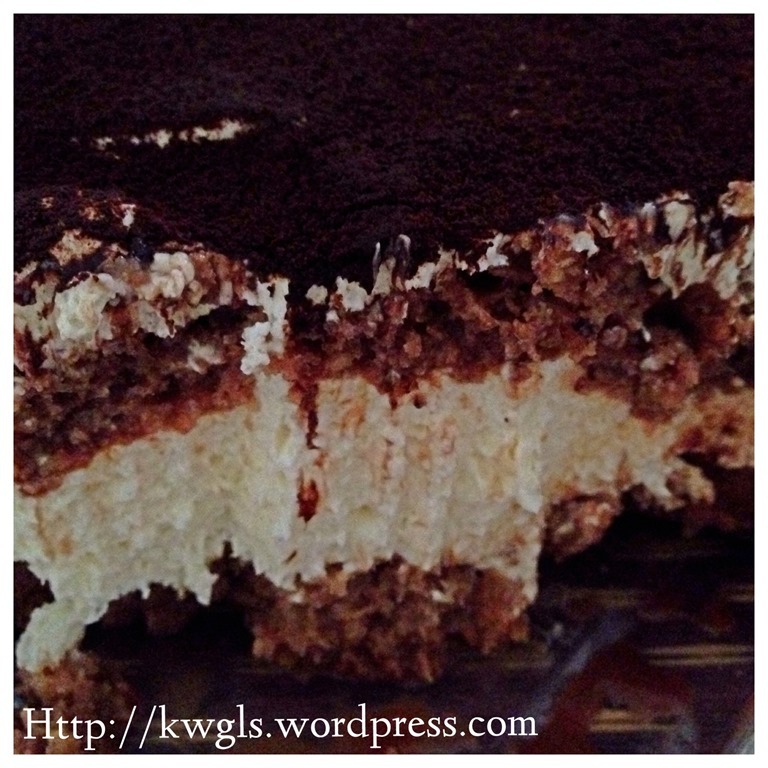 While the traditional method of egg separation method in preparing tiramisu definitely resulted in a lighter texture, I would definitely be able to forgo such texture for the sake of my family members’ health. 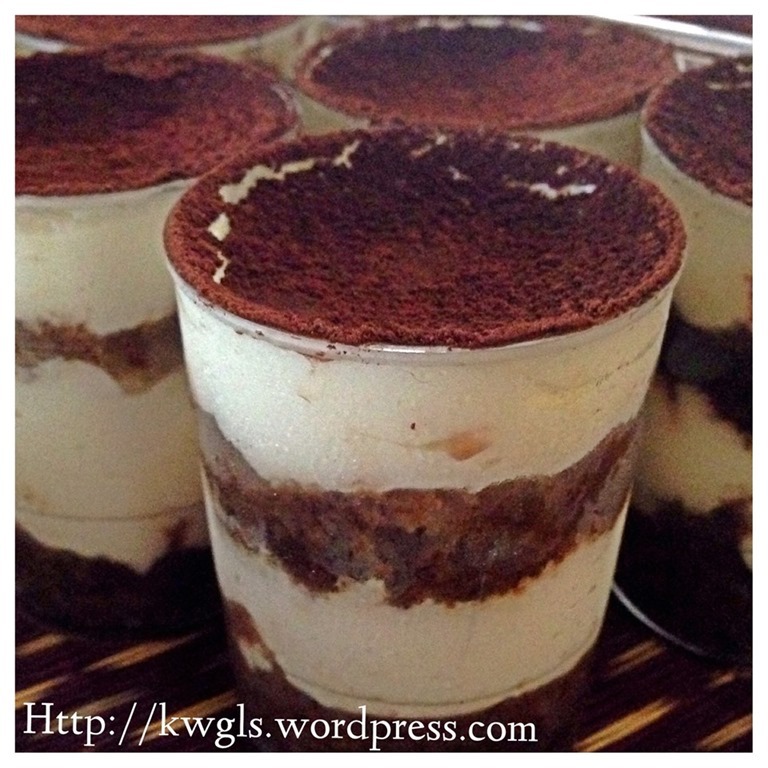 Therefore, it comes to my mind that I want to prepare a simple easy tiramisu alike desserts to share with all. The first thing that come to my mind is to substitute mascarpone cheese with normal cream cheese for cost and lower fat content reasons. In addition, I have opted to have an eggless version for health reasons. 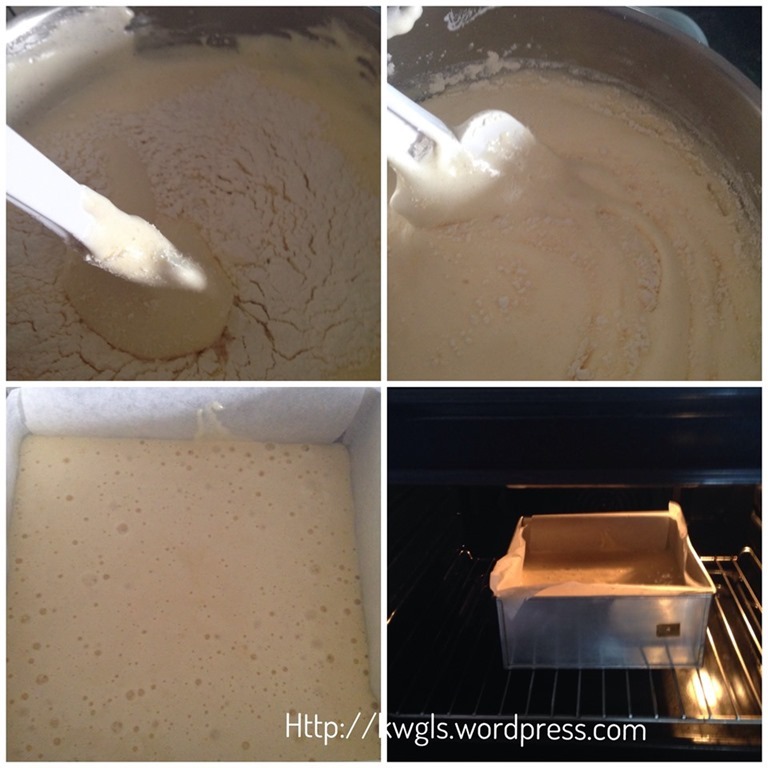 The third is the use of simple sponge cake to replace sponge fingers for both cost and availability reasons. The output it is definitely worth the try and I have objectively analyse in the conclusion section. 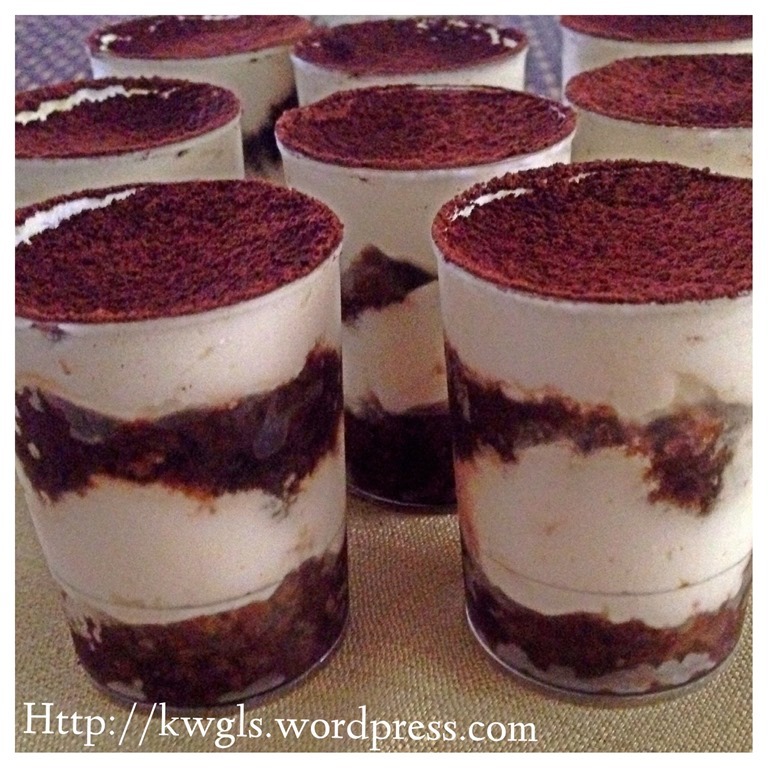 In this recipe, I have decided to present my tiramisu design for a party setting by putting it in small dessert cups. I do not like the way it was served in a big container.. I have also prepared some for my kids that uses chocolate malt drink for the sponges instead of coffee liquor. 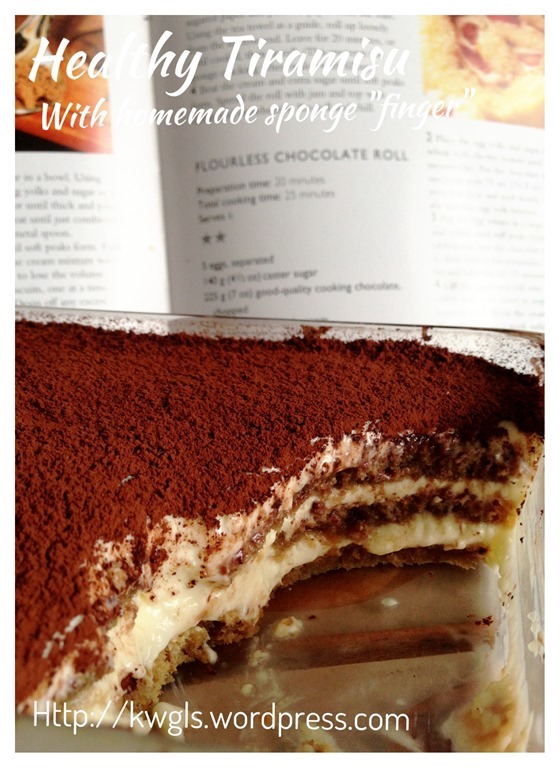 The post will have two main sections: preparing the traditional sponge cake and the post proper, tiramisu itself. 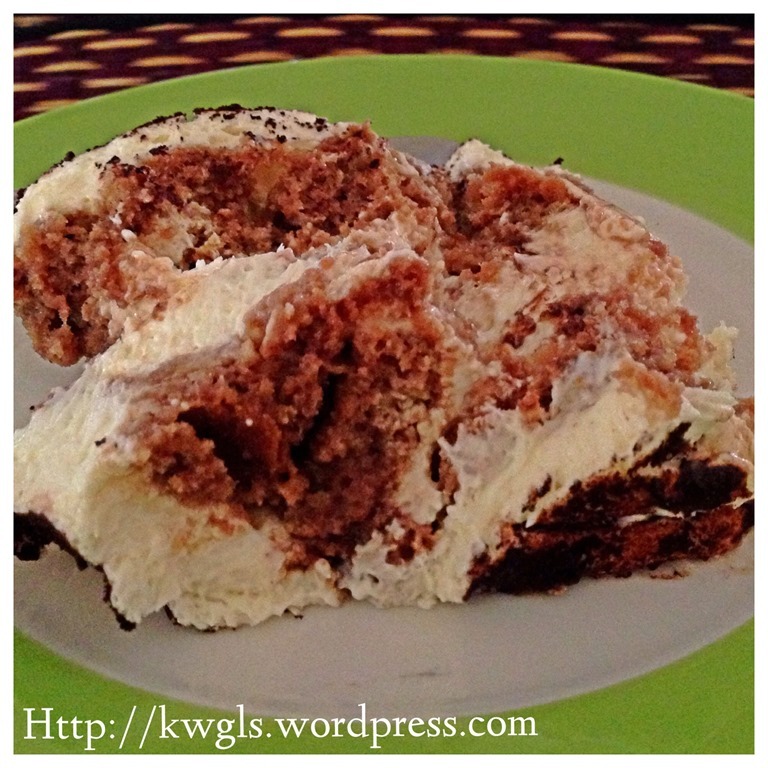 This is a basic sponge cake recipe utilizing 6 eggs. It is a rather big cake. 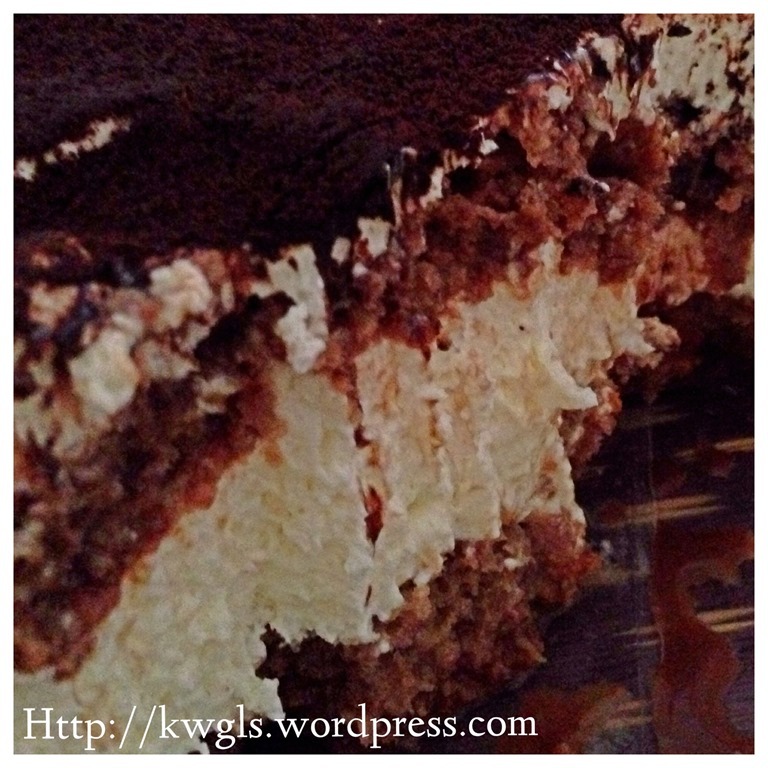 For purposes of tiramisu alone, you can adjust to prepare a smaller cake using 3 eggs. I have purposely prepare a bit more for my breakfast and for contingency purposes. 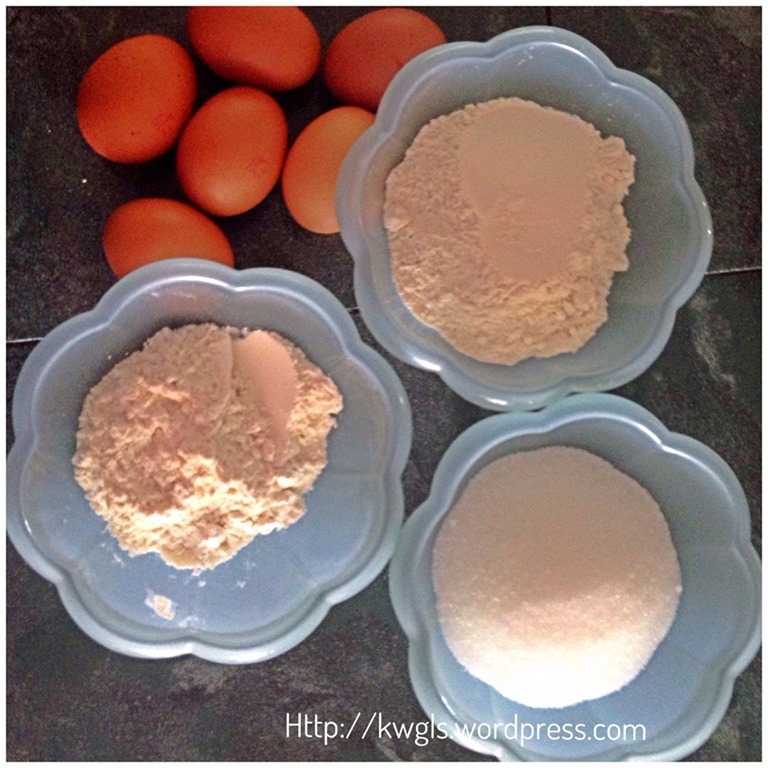 If you are preparing using 3 eggs, please halve all the quantities stated in this section. You can bypass this section if you intend to buy the ready made sponge cake. 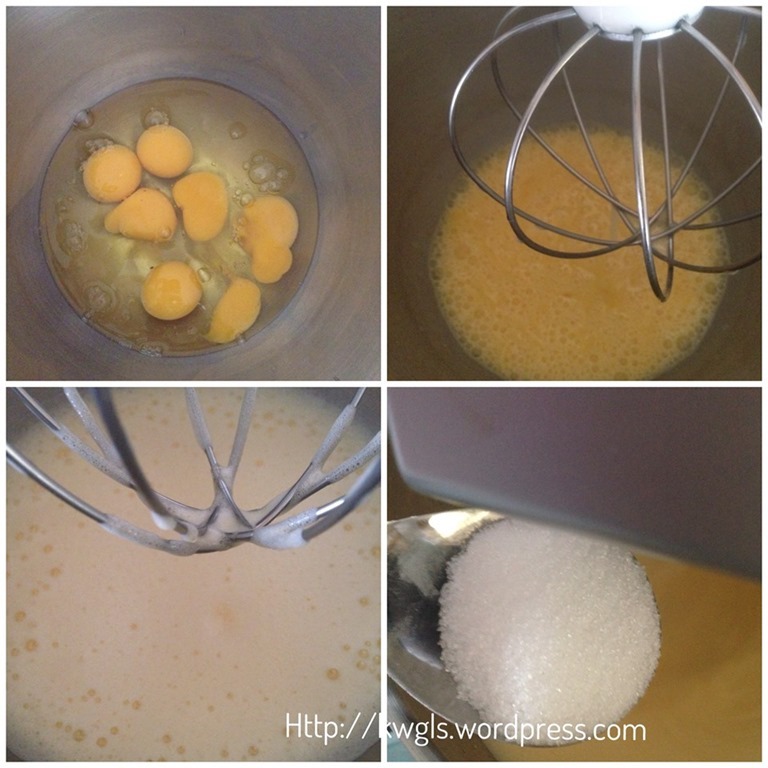 Shift the flour into the eggs, quickly fold it into the beaten eggs. Transfer to a lightly greased 8” square baking tin or baking tin lined with parchment paper, bake at 180 degree Celsius for 25 minutes. 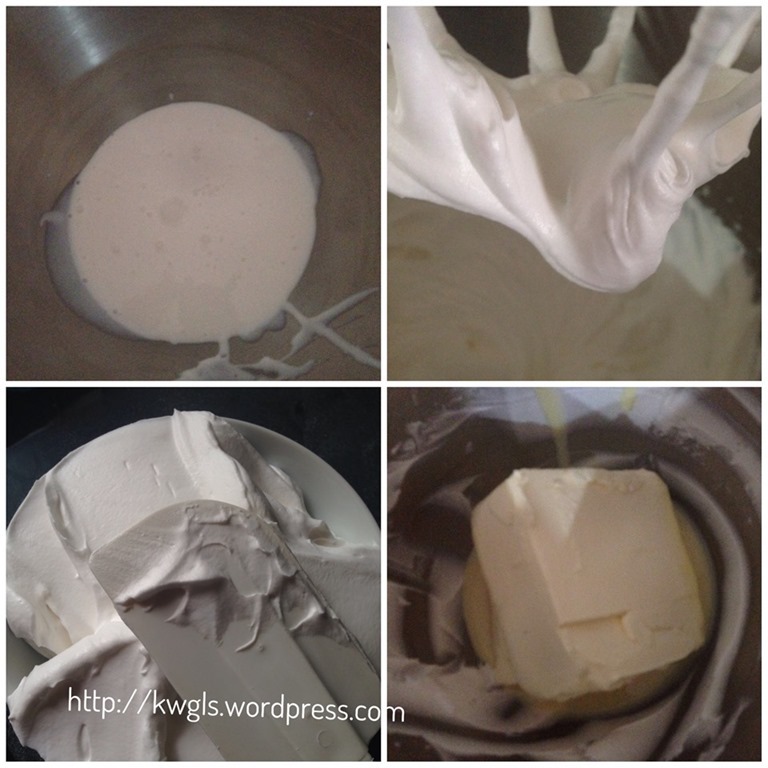 In a mixing bowl, beat the cream until stiff. Transfer to a container and set aside for later use. 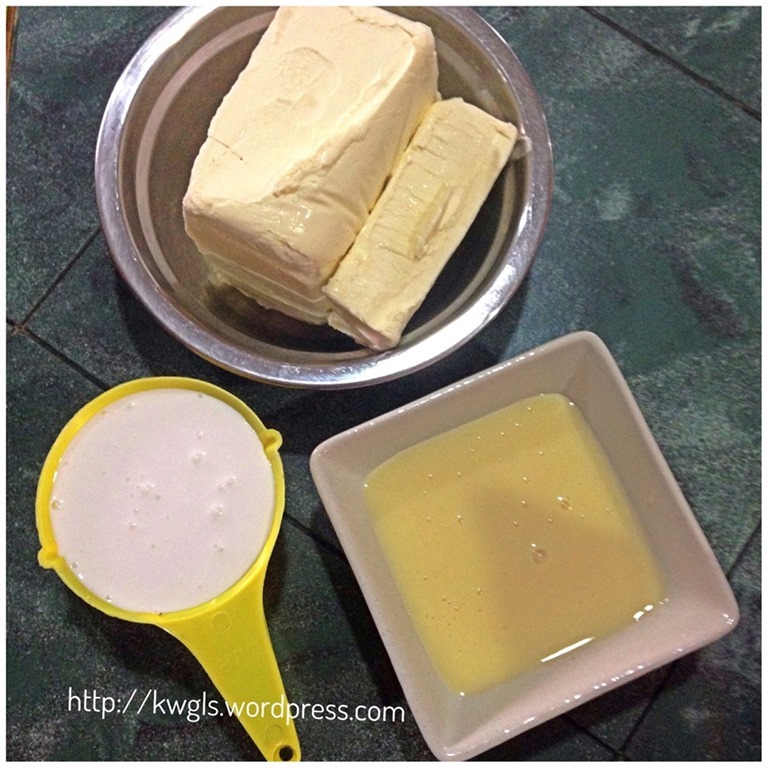 Use the same mixing bowl to beat the cream cheese and condense milk. Beat until light and creamy (no lump noted). 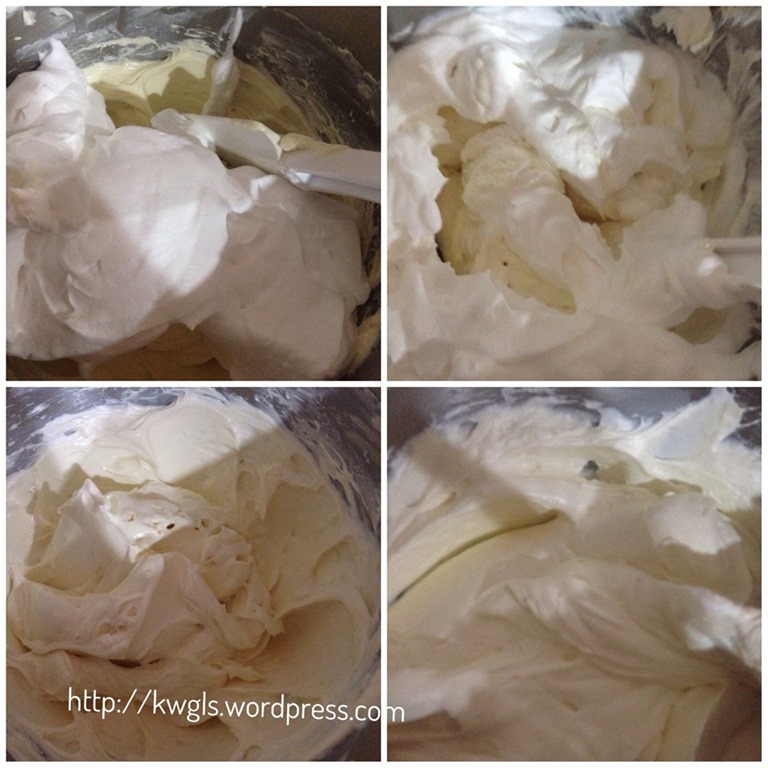 Fold the whipped cream to the cream cheese lightly until it is well mix. Set aside for next step’s assembling. 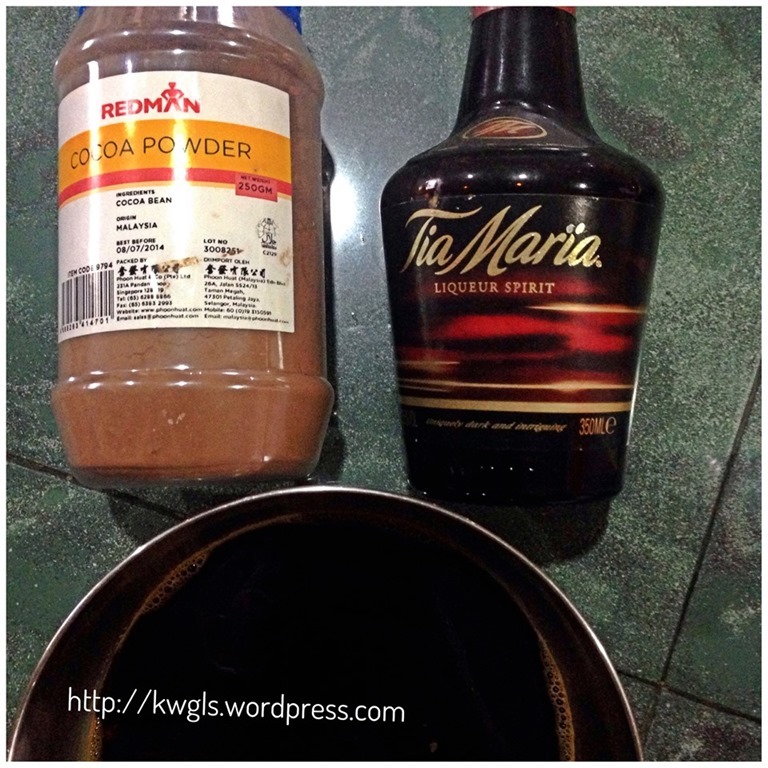 Add 1 cup of coffee liquor with 3 cups of coffee. Add 1-2 tablespoons of coffee to the sponge cake and let the sponge cake absorb the coffee until the sponge cake is brown in colour. Add in one to two tablespoons of cream cheese followed by another layer of coffee soaked sponge cake. 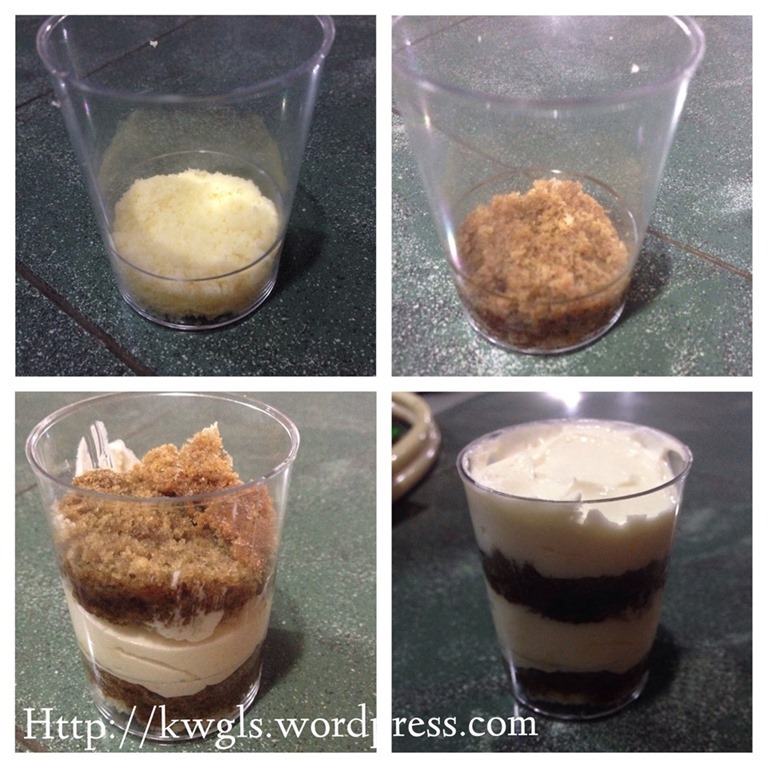 Top the remaining portion of the cup with another layer of cream cheese. Dust the top generously with cocoa powder. 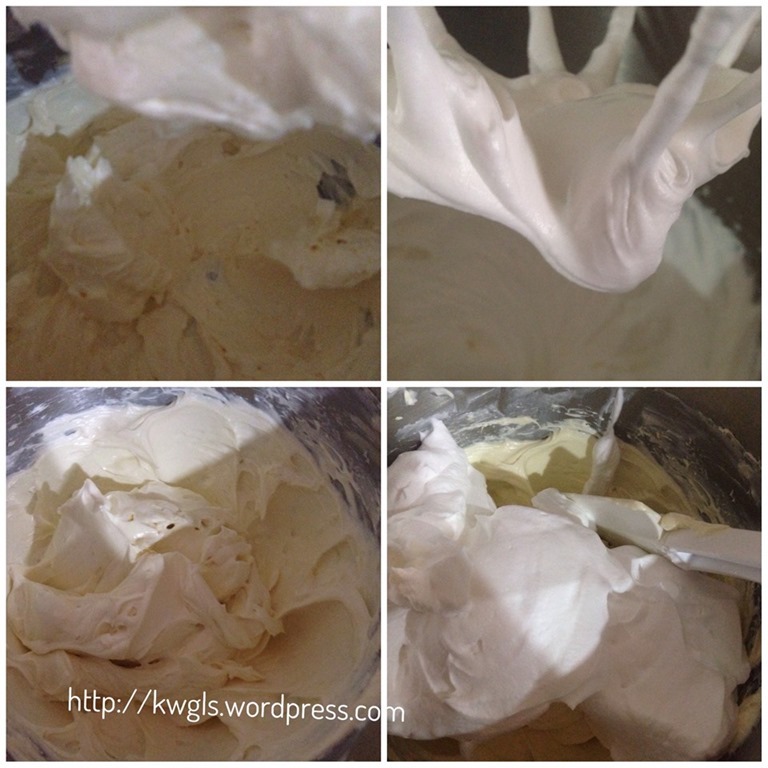 Refrigerate for at least one hour for the cream cheese is firm and flavour to develop. 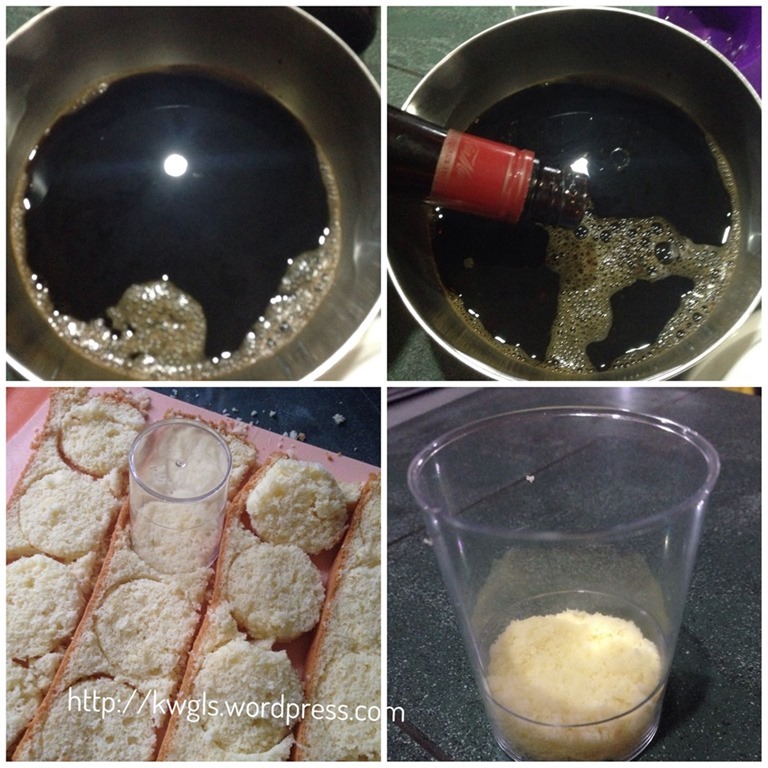 For kids friendly version, just soak the sponges with chocolate malt drinks without caffeine and alcohol. The post may appear to be very long but the procedures are very simple. It is definitely a healthier alternative than the classic version for the reasons that it is eggless and utilization of lower fat content cream cheese as the alternatives. 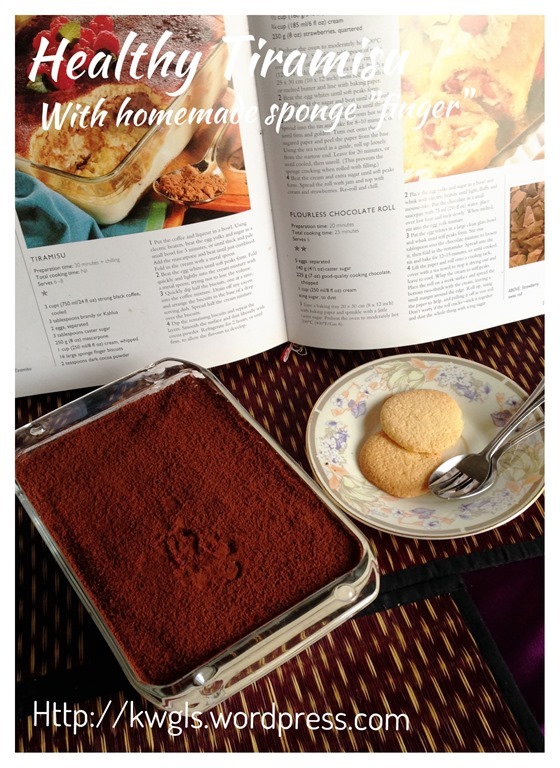 Texture of sponge – more dense because sponge cake is more compact as compare to sponge fingers. Overall verdict: I wouldn’t hesitate to serve my guest this version for the reasons of healthier, less costly and easily available ingredients. The enjoyment forgone is minimal, in my humble opinion. 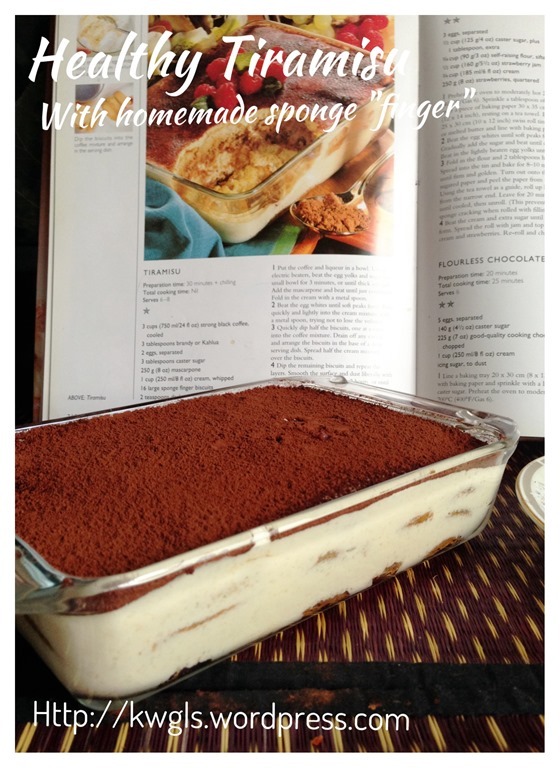 This entry was posted in Desserts, Food Preparation Series and tagged 8, classic sponge cake, eggless tiramisu, Guaishushu, healtheir tiramisu, mascarpone cheese, post a day, sponge cake, tiramisu. Bookmark the permalink. You had me at cheaper and healthier! 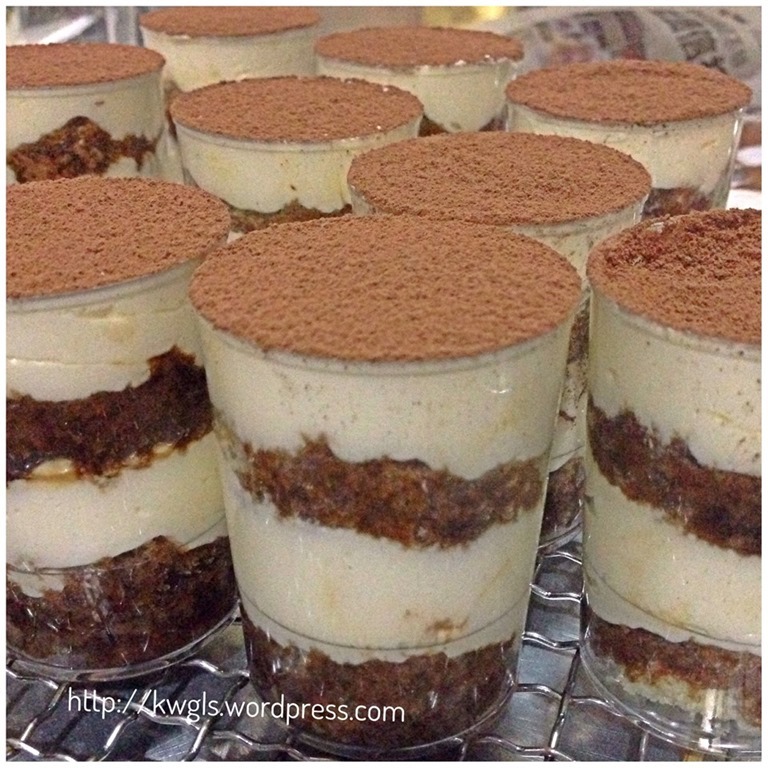 These tiramisu’s sound fabulous! Thanks for sharing at Saturday Night Fever! See you again soon! 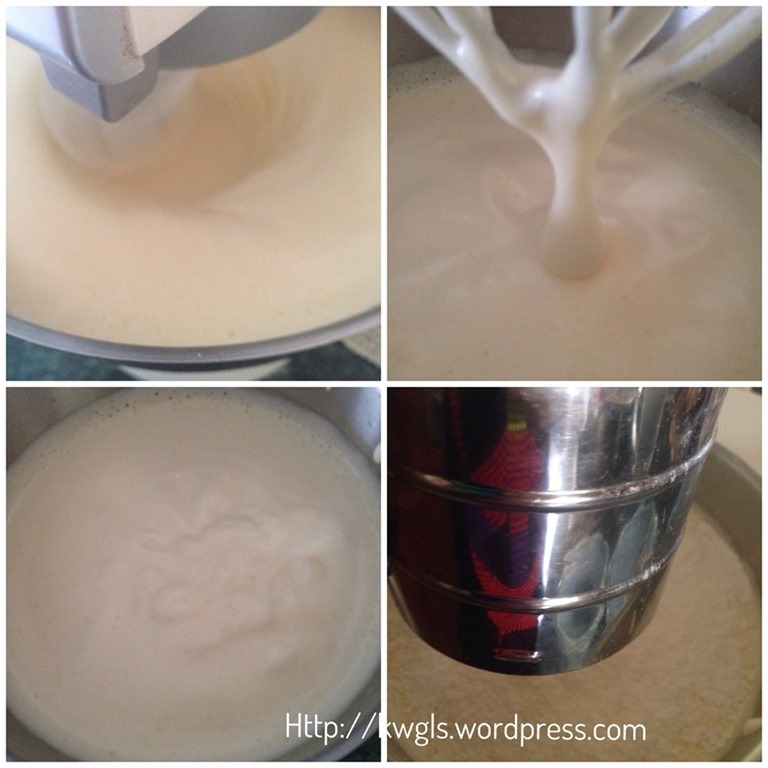 For the sponge cake, u have miss out the step of mixing in the sugar. 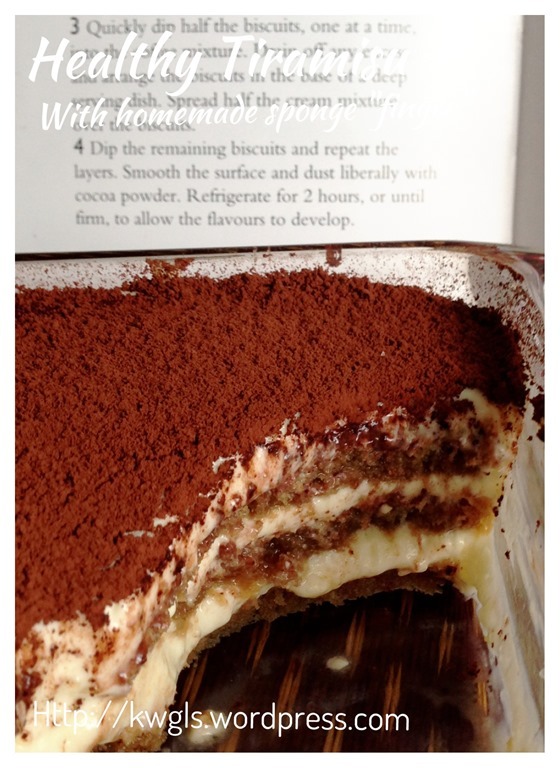 Just came across your Tiramisu recipe.Thanks, will be trying it out soon. However I’d like to inform you of some misconceptions so you can correct them. The bug in raw egg yolks is Salmonella yes. It is not known as semolina which is a kind of flour, and it is a bacteria not a virus.